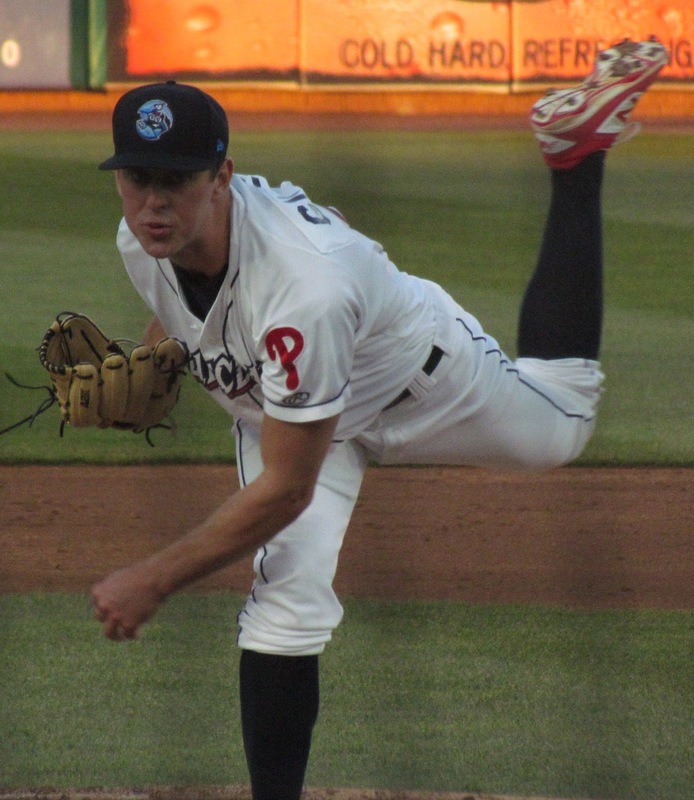 Recently, I sat down with Class A Lakewood BlueClaws manager Shawn Williams to ask about several of his team's rising prospects. Among the topics of discussion were impressive lefty reliever Zach Morris, well regarded backstop Deivi Grullon, outfielder Jose Pujols and several others. Read ahead for that full interview. -Zach Morris has been so consistent for this team dating back to late April, with an ERA under one during that stretch. What are your thoughts on him? I mean he’s been outstanding all year. He’s done every single role for us, whether it’s setting up, closing, he’s been huge for us when he’s picked up three or four innings he’s saved out bullpen. All around he’s done an outstanding job to help us and help our bullpen. -With other guys performing well and moving up, is there something that Zach is missing or needs to be doing to earn a promotion? I think it’s more that there are a lot of guys doing well up above, so it’s a good thing in our organization that it’s tough to move him. You’ve gotta really—stuff has to happen, but he’s, for me, with the task at hand, he’s done a hell of a job here while he’s been here. He’s making all the other guys around him better. You know and that’s what I think is probably the most important thing. The only thing you can concentrate on is what you’re doing right now and keep having a good year and let everything else take care of itself. -Among those that have gotten the opportunity to move upward are second baseman Josh Tobias and outfielder Zach Coppola, who moved up to Clearwater in recent weeks. Those guys were pretty big for this team. Thoughts on them? Those two guys, they were huge for us. Zach was a cat—both were catalysts for us. They made everybody around them better, just doing the little things that help you and obviously, the numbers speak for themselves, but for me it’s all the other intangibles, whether it’s base running, going first to third, the things that dont’ show up in the box score. Those are things that they do that helped us win and it’s well deserved to get moved up, but they both have had outstanding years. -Another guy that is often credited for doing things that don't show up in the box score is Deivi Grullon. What have you seen with his progress in recent months? He’s made tremendous progress, especially here lately overall. Whether he’s calling a game, he’s done an outstanding job with the pitching staff. All the catchers have. Whether it’s calling a game, he’s been blocking very well, he’s throwing a lot better, more consistent. So those are the little things that you’re looking at in seeing a player develop. And he definitely has. His at bats have really improved, where pitch recognition- we’re seeing some walks but not only that, he’s had better at bats and you’re seeing good result because of it. -Jose Pujols is just the third BlueClaws ever with 20 or more home runs in a single season, so he's been impressive there. He's striking out less of late. Have you seen a lot with him progress since mid-season? Definitely, and it’s not just the power, it’s the, the same as I told you with Grullon, it’s the at bats. For me, I know he can hit and I believe he’s gonna hit. And you’re starting to see hit at bats the last couple weeks where he’s putting together good at bats. It doesn’t matter whether he might be striking out or not, but he’s having good two-strike at bats and laying off breaking balls, he’s getting in better hitting counts, so that’s part of just becoming a better hitters and I guess that’s—for me, maybe the average isn’t there, but he’s making more hard outs here lately and just in general having better at bats. 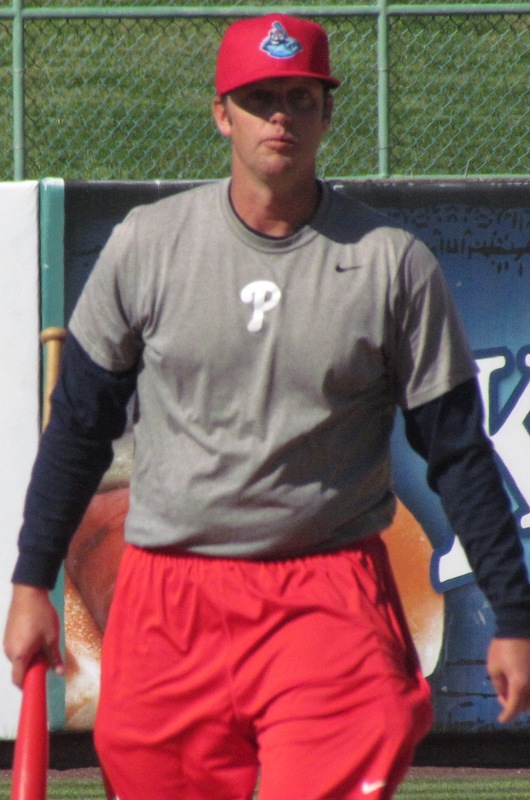 -Outfielder Mark Laird joined the team recently. What have you seen with him thus far? He’s been great so far. He’s putting together good at bats in the couples games that he’s been here. I haven’t seen him play a whole bunch other than in instructs and these couple games here. He’s had good at bats and defensively, he’s definitely a ball player that does all the little things too, that we preach about here and he definitely fits in well with our team. -Tyler Gilbert has been really consistent in the starting rotation. Seems like he's a guy that gives you a lot of innings every time out. What have you seen with him? That’s the biggest thing that he does and he’s been getting a lot better at the year’s gone on and for me he’s been very valuable in the innings. You almost expect at least six out of him every time. Which is just a tribute to him. He takes the mound every time and just he goes out there and challenges hitters and that’s all you can ask. That’s why he is pitching deeply and it seems over the past month and a half that he’s going almost seven or eight every time out, so—especially (in his most recent outing), especially in August, he’s getting stronger as the season goes on, which is nice to see from a guy in his first full year. -Jose Taveras has gotten some attention in the rotation as well. He had a double-digit strike out game, but his results seem to vary at times. What can you share about him? For me, I think you’re going to get the same thing every time he takes the mound it’s just a matter of I think some teams have taken a different approach against him where they’re real aggressive early in the count to where maybe the runs you see—maybe he gives up four runs, but overall he throws the ball well because he comes right at you and attacks you. It’s a great way to go about it. He’s thrown the ball well, even since that game where he struck out all those guys. For me, you know what you’re going to get every time out. He attacks the hitters and sometimes maybe they take a different approach where they’re really aggressive on him. But the biggest thing is just staying down in the zone but he’s done an outstanding job.